This giant ear of corn welcomes you to McDonald’s Corn Maze. McDonald’s Corn Maze provides the perfect spot for families to discover the spirit of the fall season. 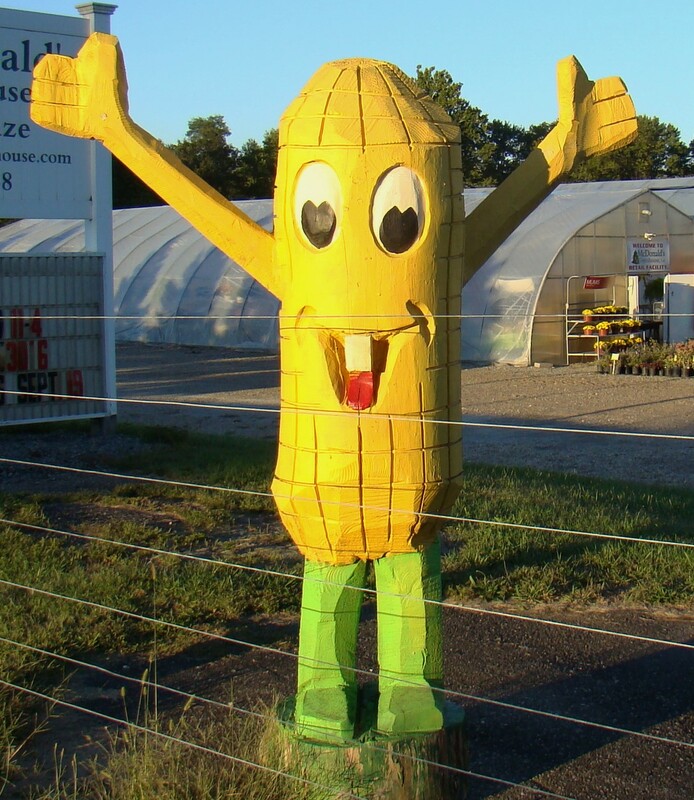 In 2006, the corn maze was created with hopes that a few children might be able to enjoy it. Never did they expect that over 3,000 would make their way through the maze that very first year. The theme each year differs. This year the five-acre corn maze features a cowboy with a lasso standing by a saguaro. Wonder if he’s going to lasso a pumpkin? 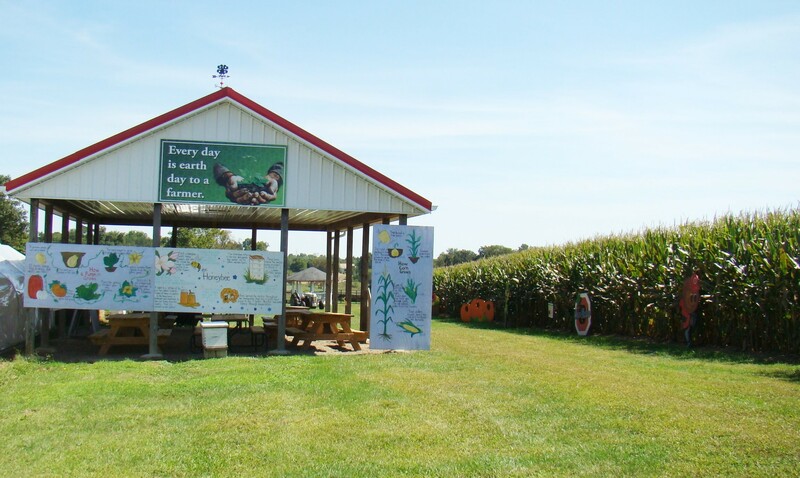 A play area along side the corn maze offers many possibilities to explore. This is indeed a family affair involving three generations. Jim and Susan McDonald built their home between their parents’ farms on Adamsville Road in Muskingum County. This makes for close family ties and grandparents have opportunity to watch their two grandsons grow up. Agriculture is their main interest and they want to teach youngsters and adults more about the process of getting food from the farm to the table. 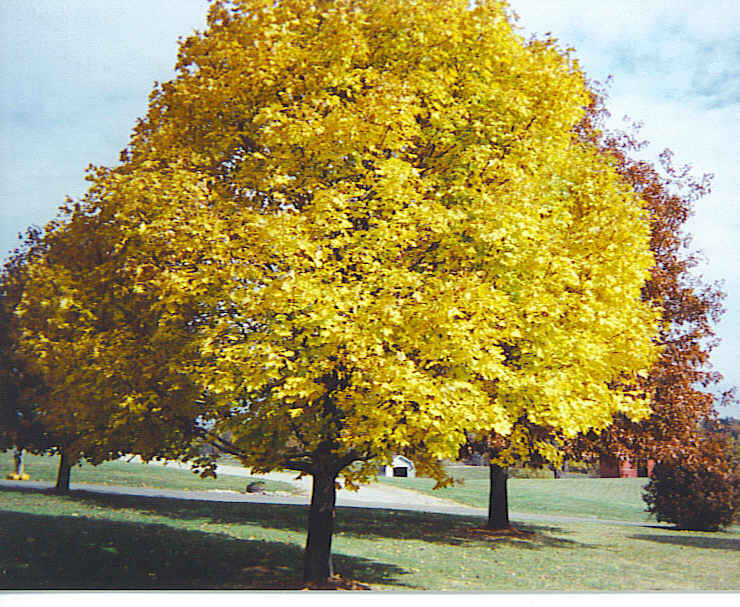 Jim lived on a farm all of his life so it was no surprise when he graduated from Ohio State University at their Agricultural Technical Institute with a degree in greenhouse and management production. He opened his first greenhouse the year after he graduated. 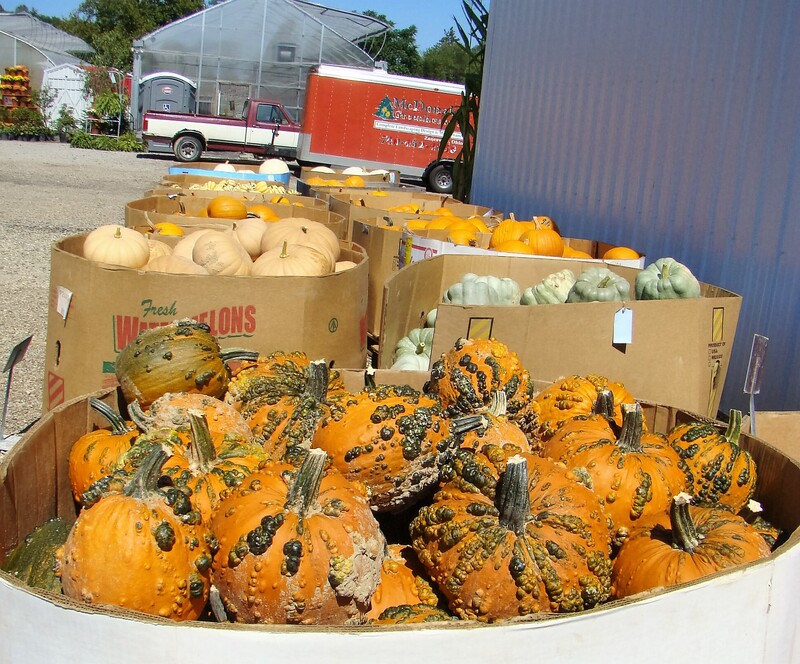 All kinds of pumpkins are waiting to be taken home for decorations. Those in the front are called “Witches Warts”. There’s no shortage of pumpkins here as McDonald’s has fifteen acres of pumpkins with choices of different sizes, shapes, and colors. 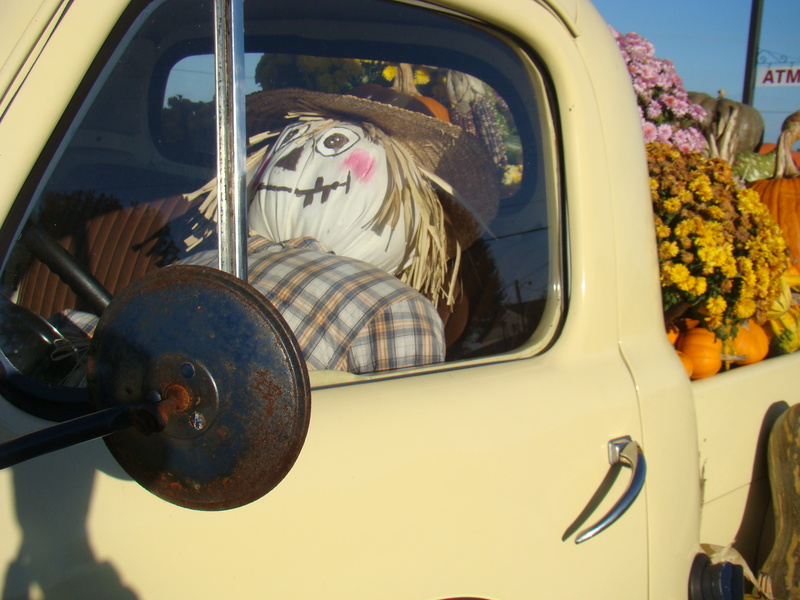 Choose from Buckskin, White Pumpkins, or Witches Warts to name a few. 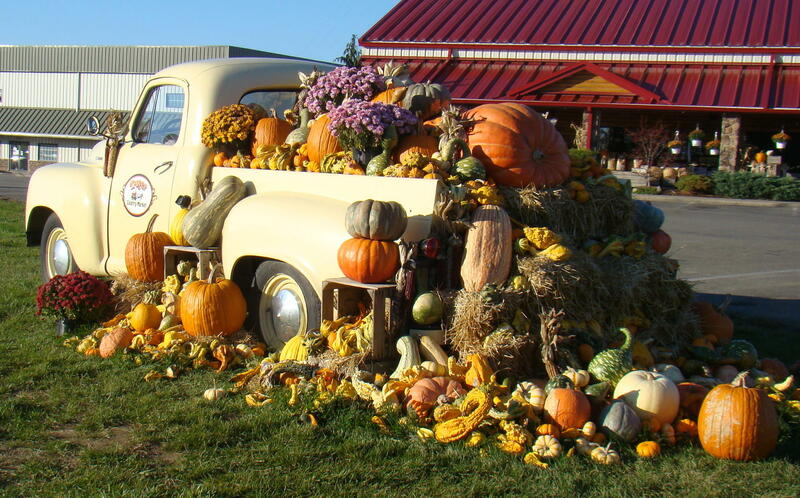 They expect to have over 10,000 pumpkins this year as well as a large supply of mums, gourds, and cornstalks. 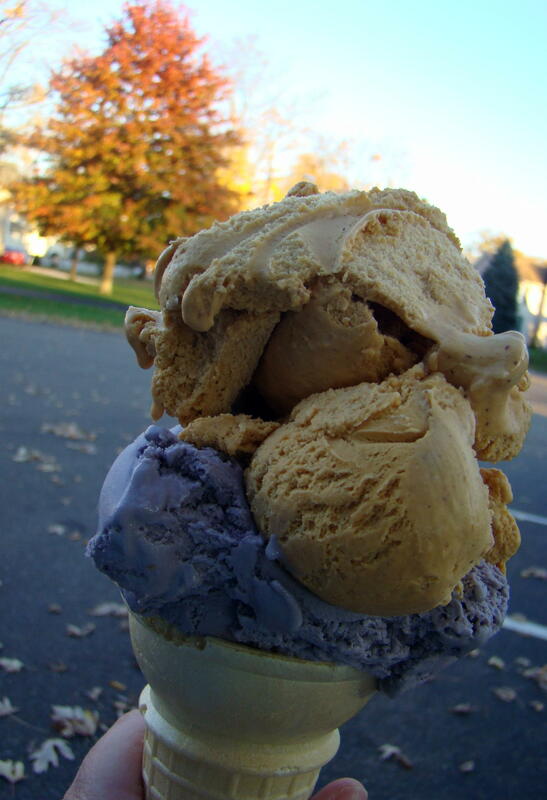 Everything you need for a fantastic fall scene. Pictured is an overview of the 2015 maze. They cut the maze in June when the corn was about a foot high. The drawing of the maze scene was placed on a grid, then Susan carefully directed Jim on his mower foot by foot to make it perfect. That’s no small feat in a five acre maze. 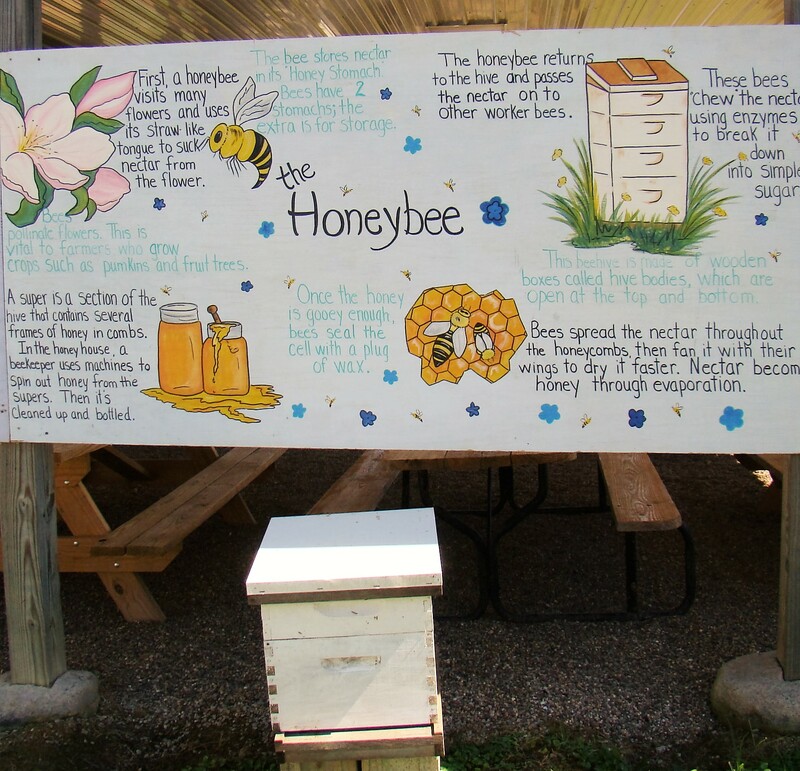 Educating students and adults about honey bees is one of Jim’s enjoyments. Affectionately called Old McDonald, Jim has farming in his blood. School groups, 4-H clubs, scout troops and even seniors enjoy his stories about the farm. As you would expect, it’s not unusual for a verse or two of “Old MacDonald Had a Farm” to be part of the day’s events. 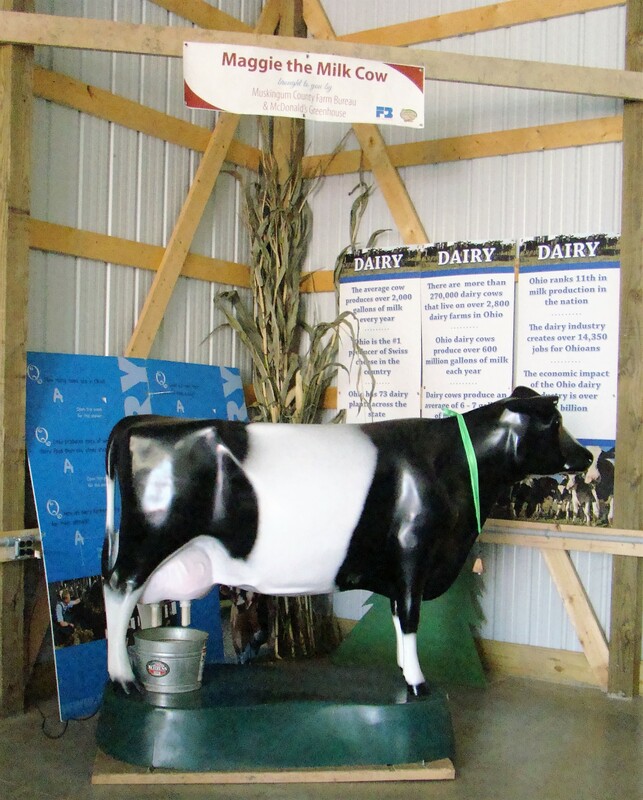 Maggie the Milk Cow goes to the county fair for demonstrations on how to milk a cow. Today’s children don’t have much opportunity for up-close contact with real farm life. Jim wants them to understand where their food comes from. His enthusiasm about farm life is almost tangible. Even though it’s hard work, it obviously has its rewards as he enjoys telling children about pollination by honey bees, milking a cow, growing pumpkins and why it’s always earth day for a farmer. 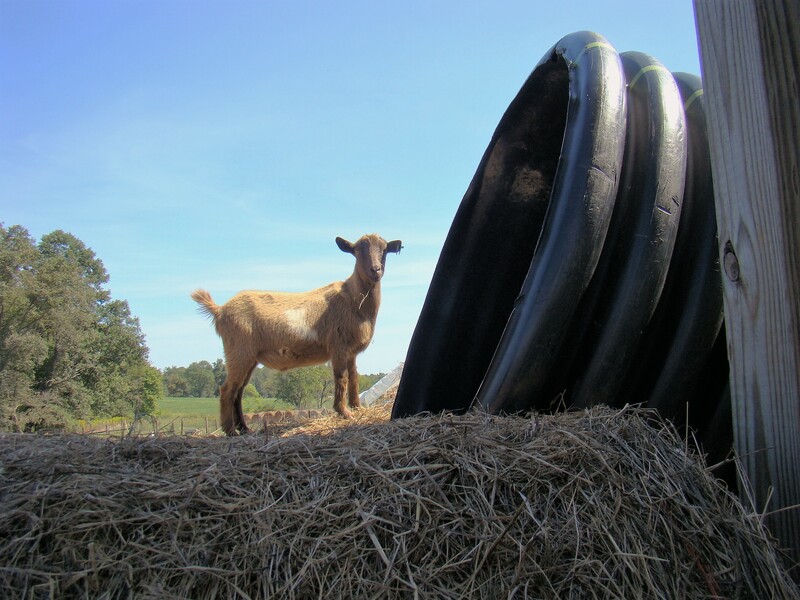 This goat stands on top of a large round bale of hay and peers into the plastic pipe used as a slide. Should he or shouldn’t he? A petting zoo gives everyone a chance to be in contact with different baby animals such as a lamb, goat, duck, pig, or rabbit. Nearby a small playground contains a unique “sandbox” – a round watering tank filled with fifty bushels of shelled corn. There’s also stones to play hopscotch, and a slide made of plastic pipe atop bales of hay. Take a walk in the Enchanted Forest and discover how Ohio’s first farmers lived. 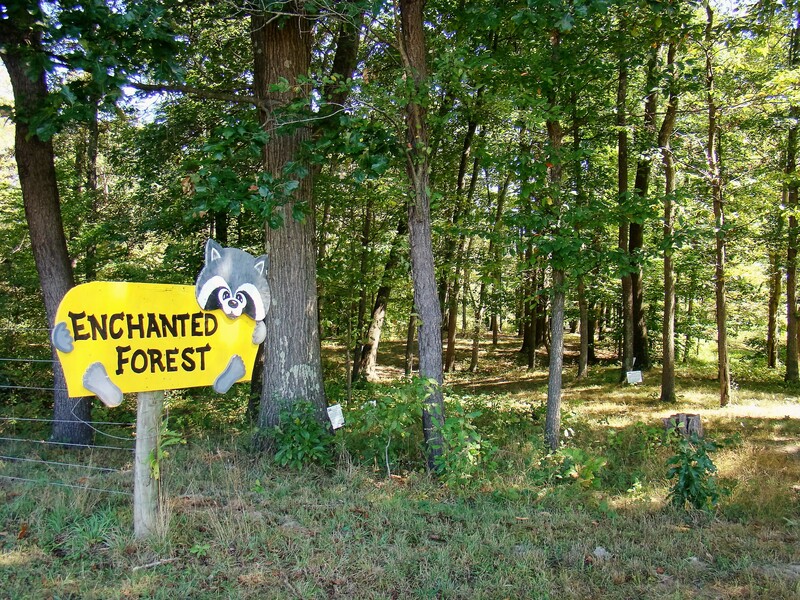 Then take a leisurely walk through Enchanted Forest and surround yourself with nature. Listen for the special sounds of the woods and learn about the plants that grow there as many have markers with names and uses. 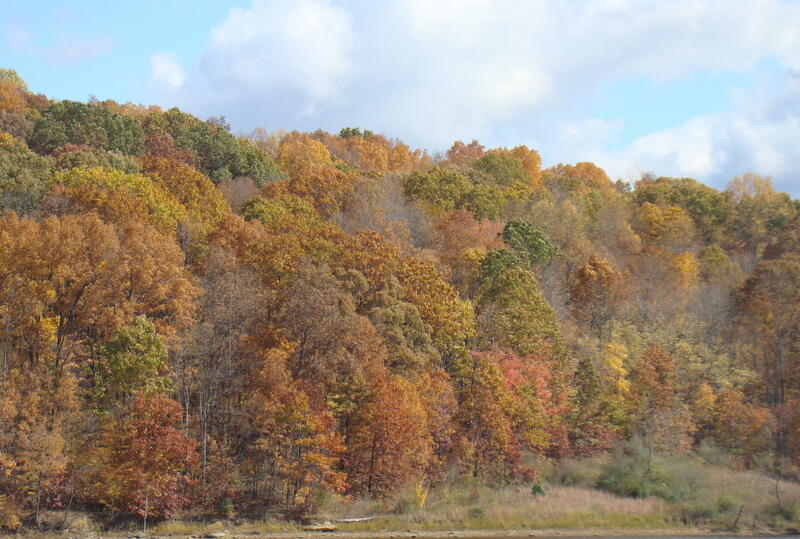 Deep in the woods is a teepee, home of Ohio’s first farmers. 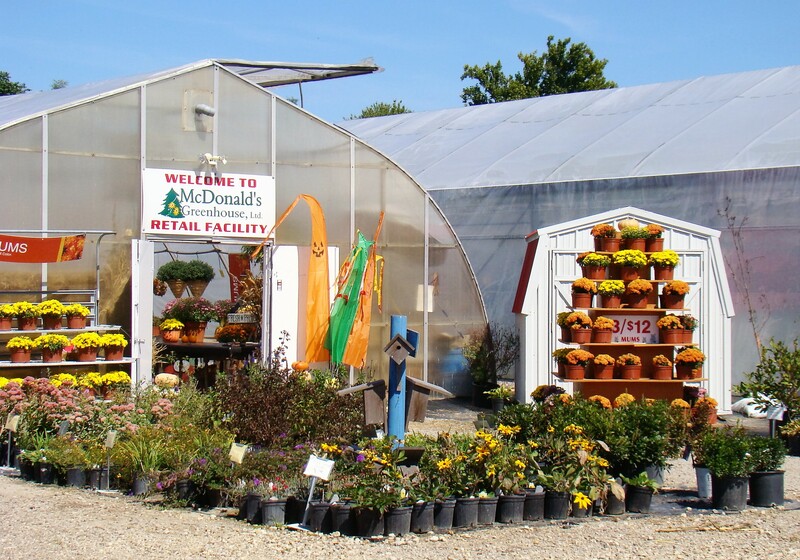 McDonald’s Greenhouse also has a large assortment of mums to brighten your fall. Sometime during your visit, be sure and climb on the hay wagon for a ride through the beautiful countryside filled with autumn leaves. Sit on bales of hay while the tractor pulls you down a path to see the fall season in beautiful Ohio. There’s a small admission price of only $6 per person for the day, but unlimited fun as it includes all activities. 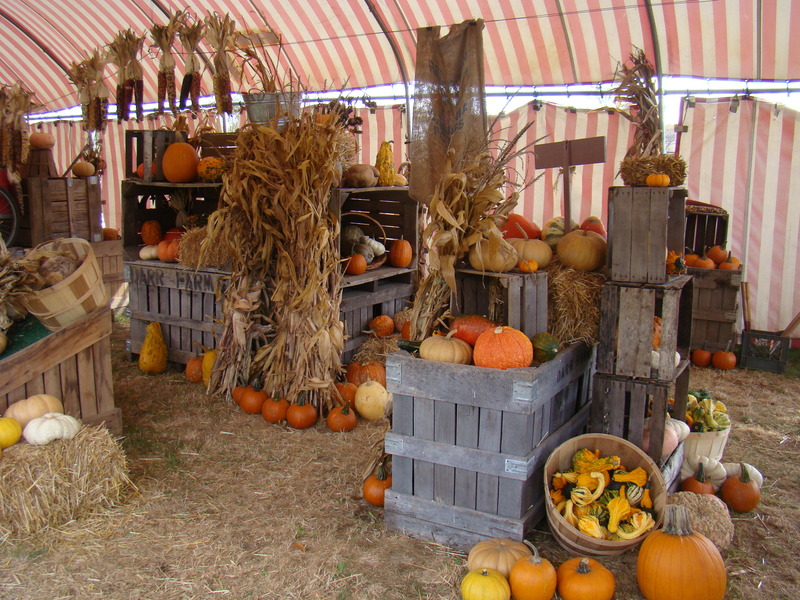 A visit here adds up to a perfect fall experience filled with learning and fun…no ghosts or witches allowed, except for Witches Wart Pumpkins. 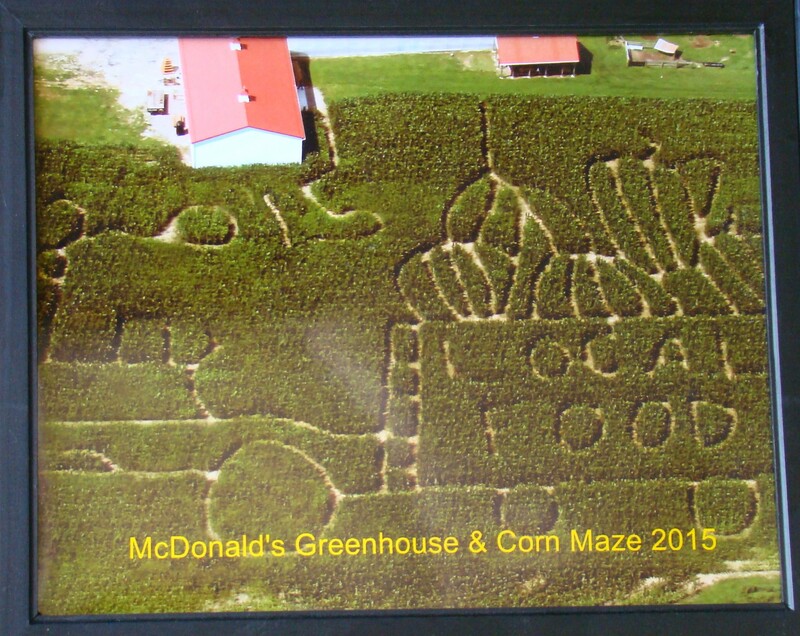 McDonald’s Corn Maze is located east of Zanesville, Ohio off I-70. 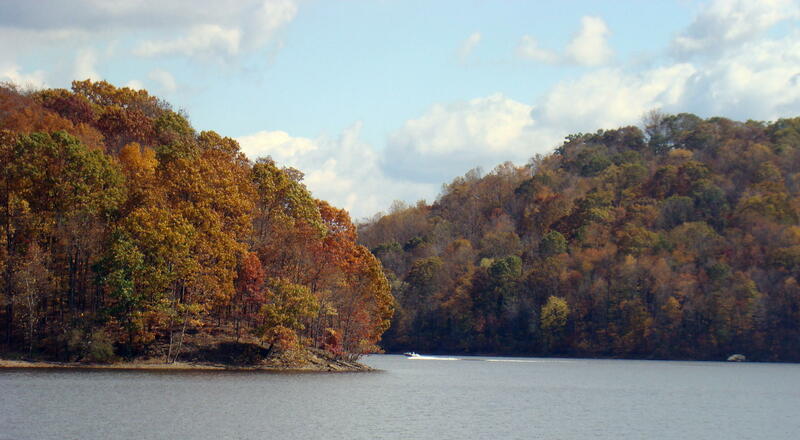 Take Exit 157 (State Route 93) north to 3220 Adamsville Road. It’s only about two and a half miles from the interstate.